A DK pattern for some cute booties and hat sized for newborn to 12 months. 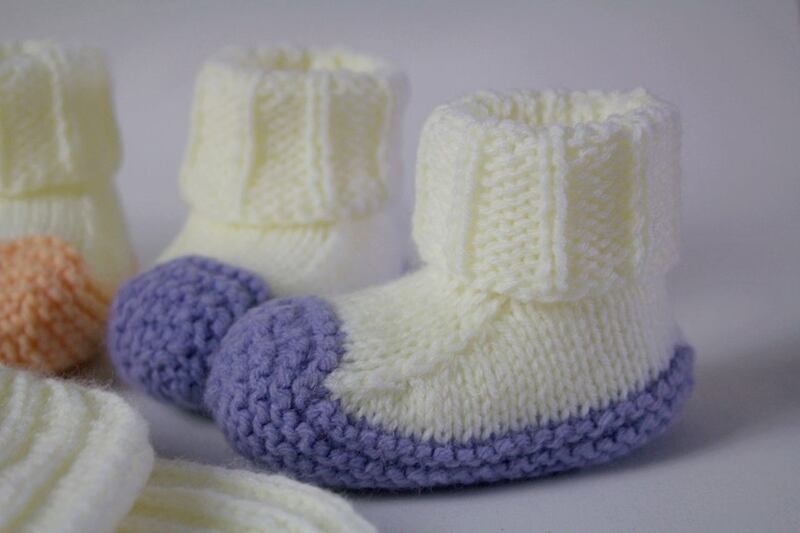 This adorable little set is knitted flat and seamed and takes no time at all. 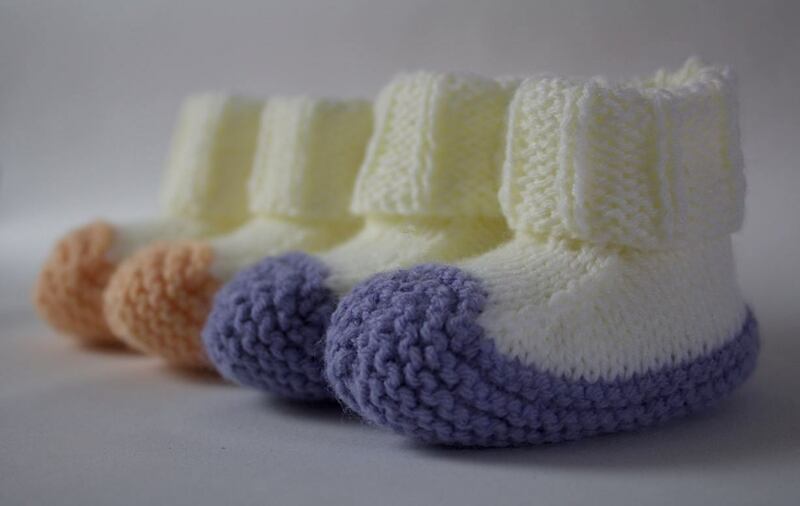 Great for a quick baby gifts or stocking fillers. Suitable for the beginner with a little experience, there are some decreases that you may not have come across before. These along with explanations are given in the abbreviation section of the pattern. 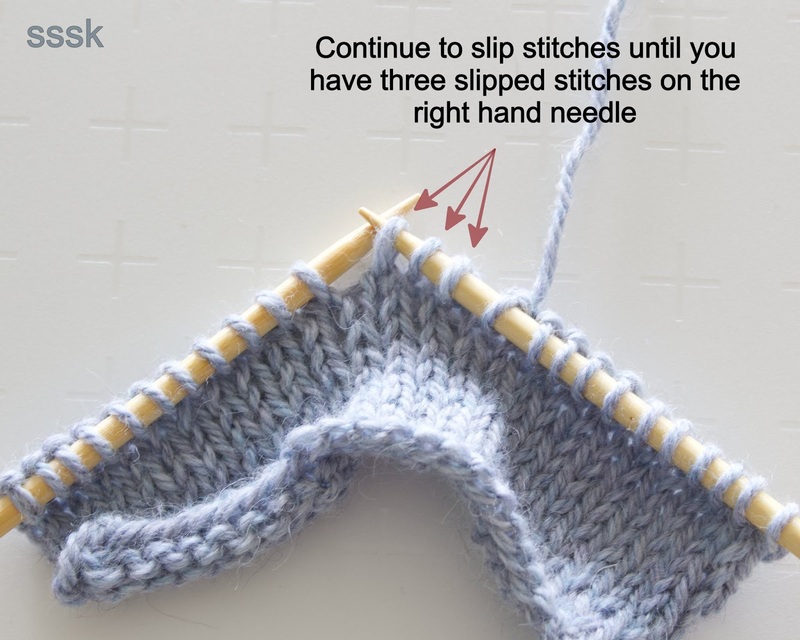 Also have a look in the tutorial section of my website for how to work some stitches. Make it your own. You can choose two very contrasting colours, as I have here with the purple and peach sets, or a more subtle look go with a single colour. Choose colours to match a particular favourite outfit or make the contrast colour something neutral like a light grey which would go with almost anything. Ideal to use up some left-overs from other baby projects the set takes very little yarn, especially the contrast pieces. DK weight baby yarn. 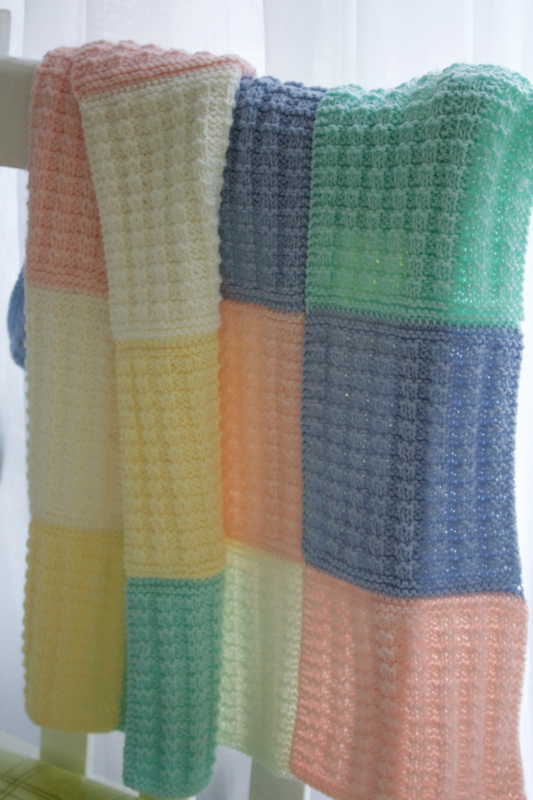 The samples were knitted in Sirdar Snuggly DK. This amount will make both booties and hat. Or, buy a main colour and use leftovers for the contrast colour. 3.5 & 3.75 mm needles, or size to get you the correct tension, plus needles of one size smaller. 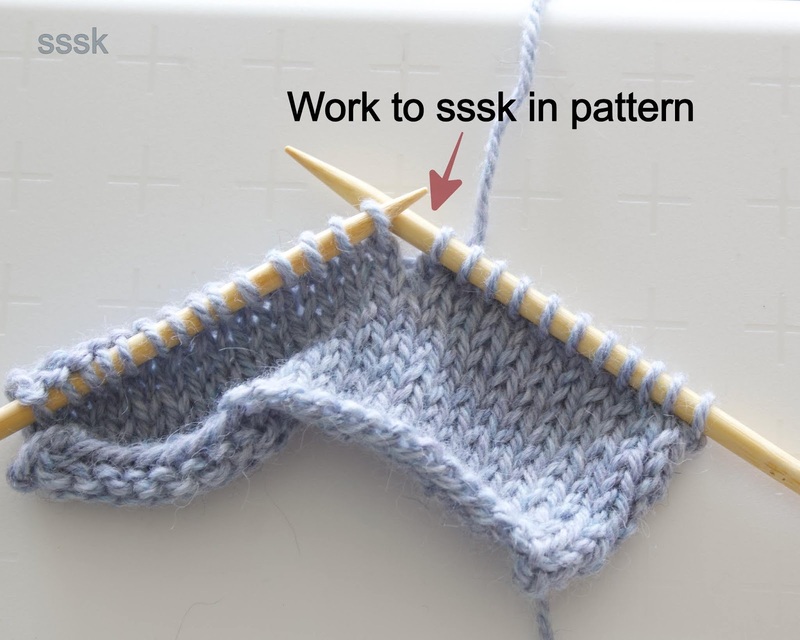 24 sts per 10 cm / 4 inches in stocking stitch using 3.75mm needles. Please check your tension, a variation in tension will result in a change of size. Casting on and off, knit, purl and directional decreases. All decreases are explained in the abbreviation section. 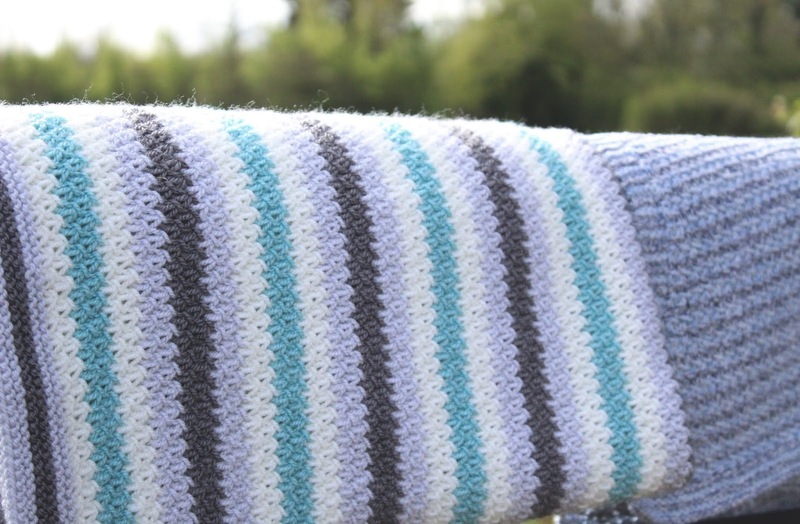 The pattern is available to buy as an instant download from LoveKnitting. Pattern support for this and all my patterns is available by contacting me using the email address given in the bar. 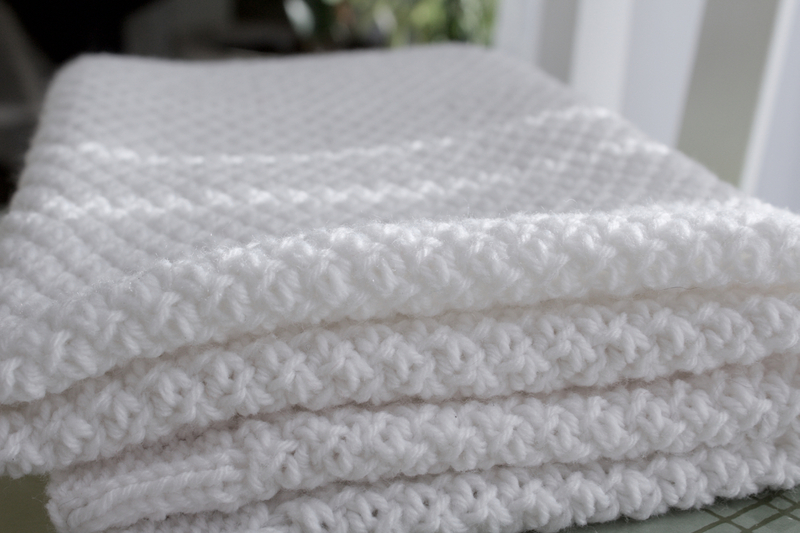 Robyn is another simple but classic blanket with an all-over texture pattern. One of those blankets that is neutral but pleasing. 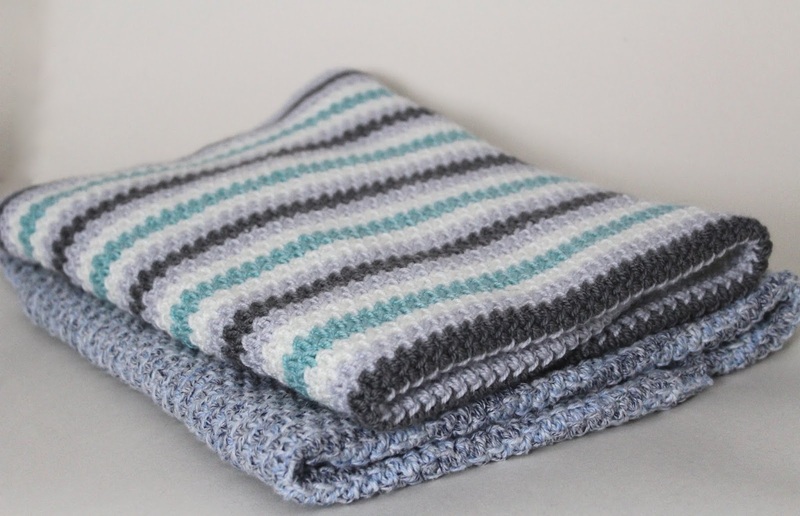 At first glance this blanket pattern is very similar to the Gracie Blanket but the texture is slightly finer and, in my opinion, the stitch is easier to work. Suitable for the beginner knitter, this blanket does require a little concentration but is still not too difficult. The knitting starts with the bottom border and then the main body of the blanket is knitted before ending with the top border. Stitches are then picked up along the sides to work the borders outwards at each side. Full instructions are given for working the side borders although I don’t give actual numbers of stitches to pick up. 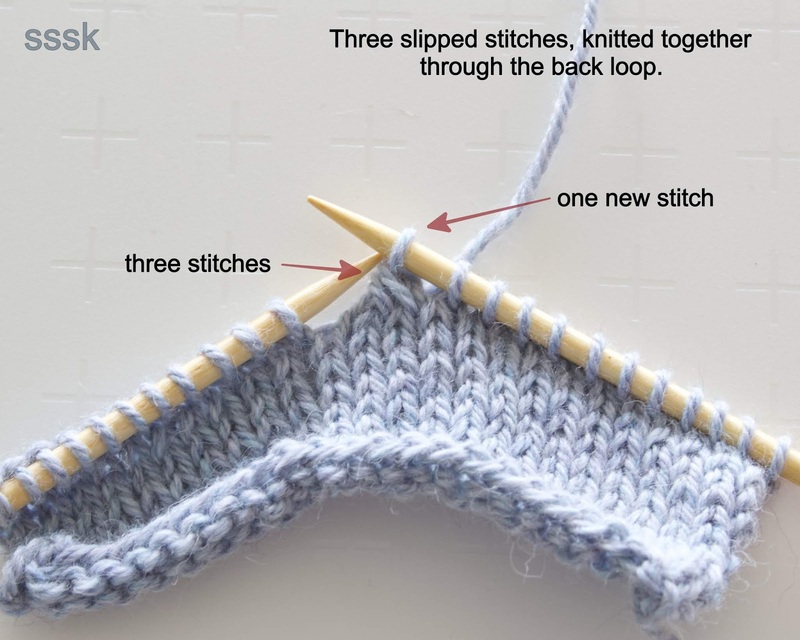 The reason for this is that, even if you have the correct number of stitches for the tension required across your knitting, it is not always a given that you will have the same amount of rows, or you may have even decided to make the blanket shorter or longer. This can cause problems when given a number of stitches to pick up that is based on the row gauge of the pattern or size of the blanket, but not what you have achieved. 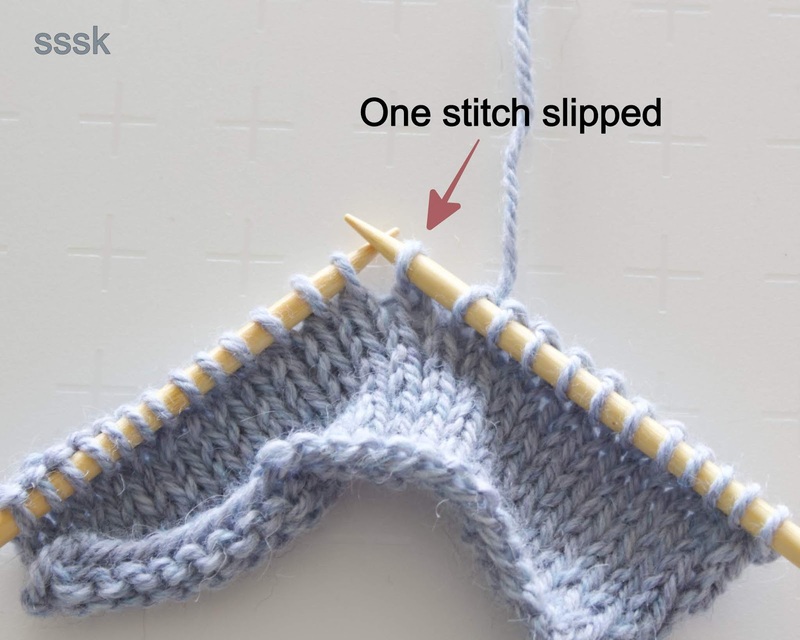 When picking up stitches along the side of a smaller item, such as a baby cardigan, this does not cause a great deal of trouble (most of the time) but on larger items you can end up with a border that pulls too tightly or is exceedingly baggy. Not the results we all look for. 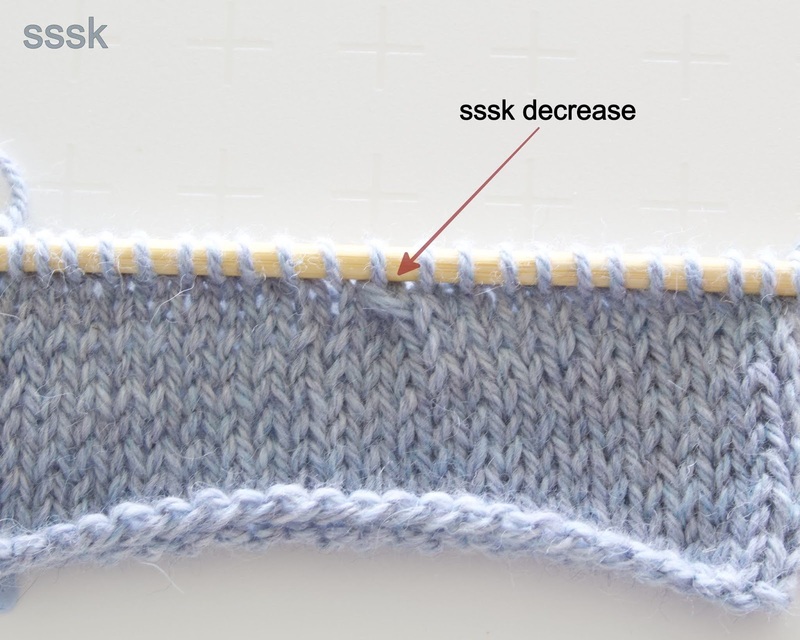 If you have experience, over time you naturally adjust your stitches so they work with your knitted piece, but if you haven’t worked many picked up edgings before it can be a cause for frustration. To negotiate this problem, I have instead given directions for picking up the stitches, whatever length your blanket is. 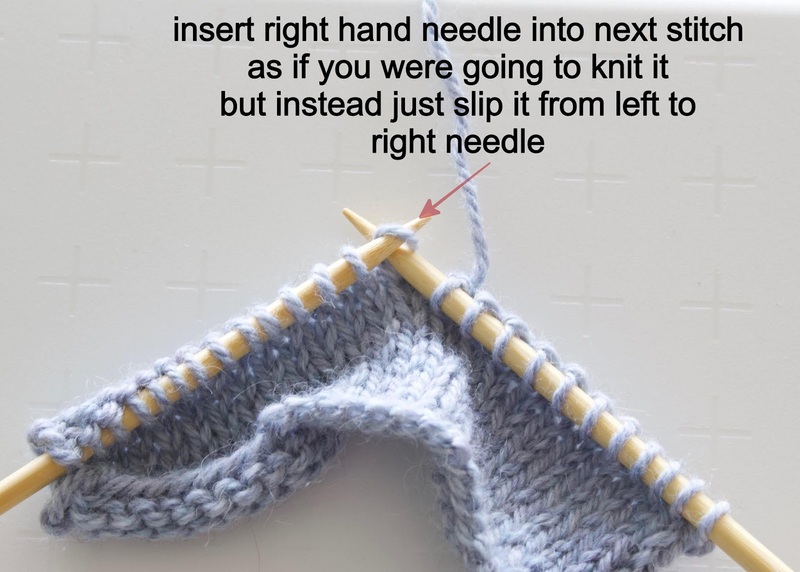 I also tell you how to end with the correct multiple of stitches so you get neat and even results. 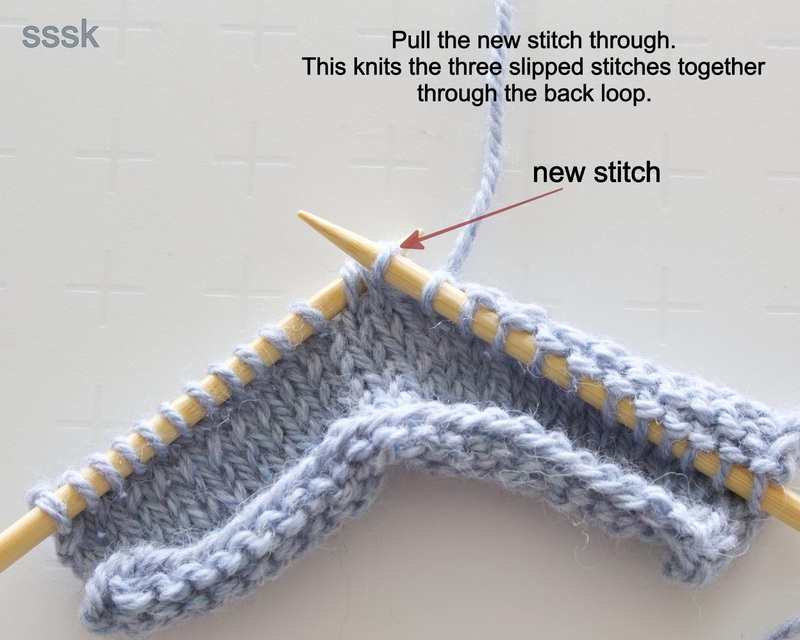 This method, once learnt, will hold for all types of project where you need to pick up and knit stitches. Maybe you lengthened a cardigan body for instance so the original pick up numbers for the button border will no longer apply. There are many ways to work out how many stitches to pick up for any type of project. In the pattern I give the easiest and most basic of methods. Any suitable DK weight yarn. You will need approx. 825m in total. 4mm or the size to get you the correct tension. 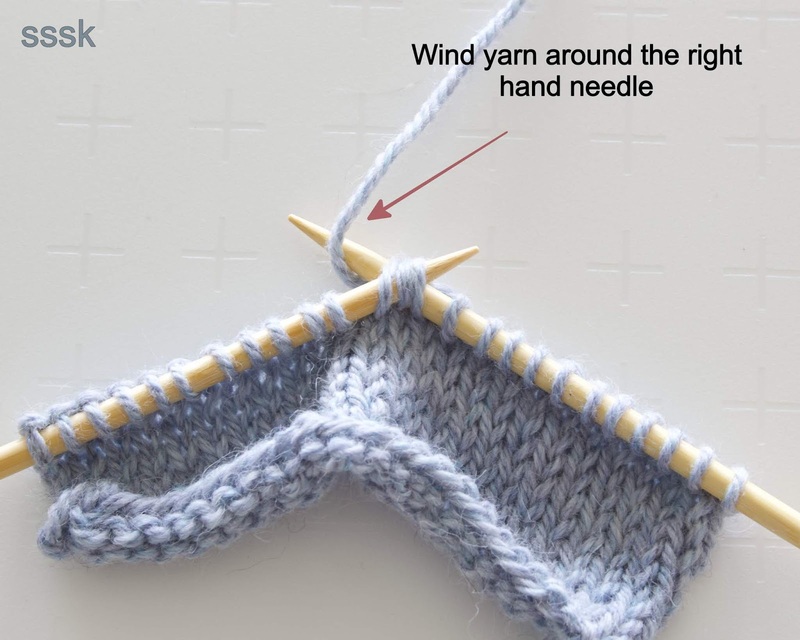 Circular needles are recommended for this project due to the number of stitches but a long pair of straight needles that will hold the stitches comfortably would also work. 24 sts to 10 cm / 4 inches in pattern. Knitting tension is not crucial but if you do work to a different tension your blanket will come out larger or smaller and will take a different amount of yarn. Knit, purl, P2tog, K2tog. 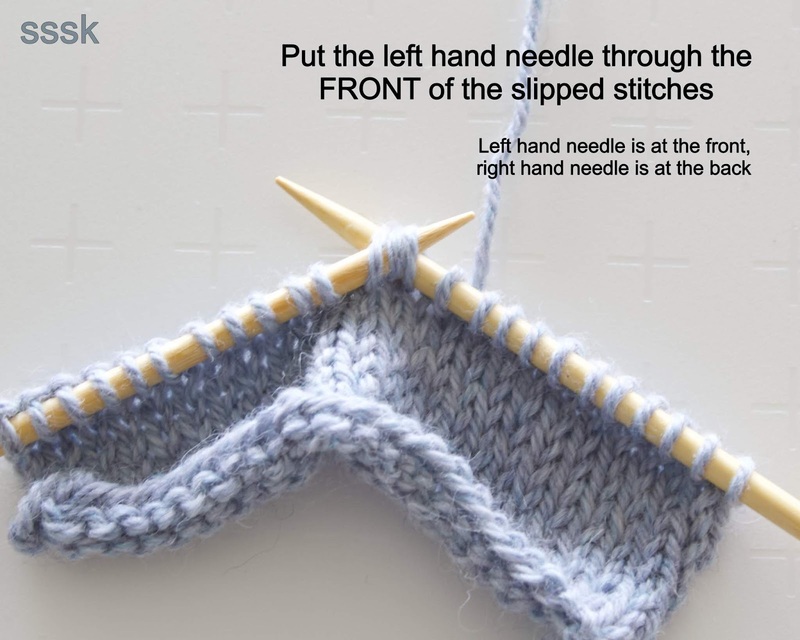 It will also help if you have picked up and knitted stitches before. The pattern is available to purchase through LoveKnitting. Pattern support is available for this, and all my patterns. Please contact me through the email address in the bar or through the contact me. I always do my best to give you a speedy reply. 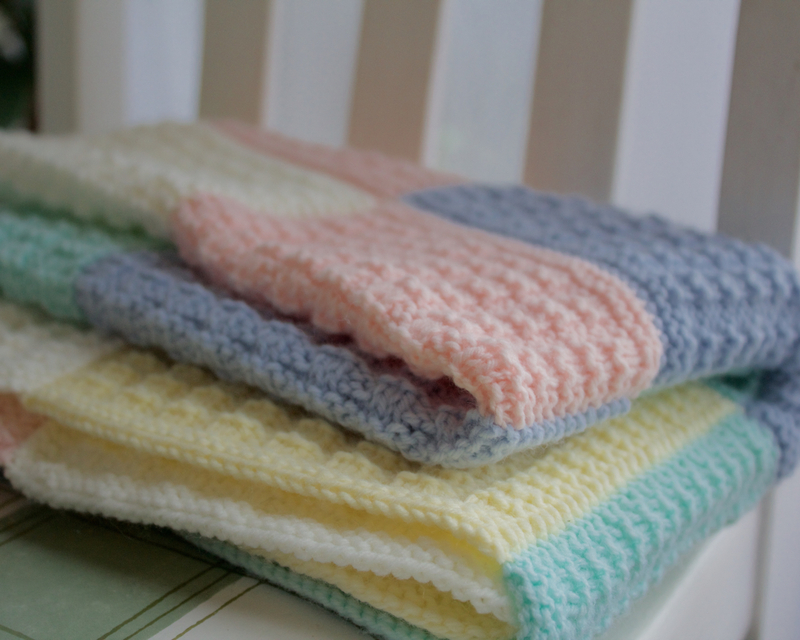 One of my most recent designs is the Colour-Mix Baby Blanket. This blanket is suitable for a beginner knitter. If you can cast on, cast off, knit and purl then you can make this easily. 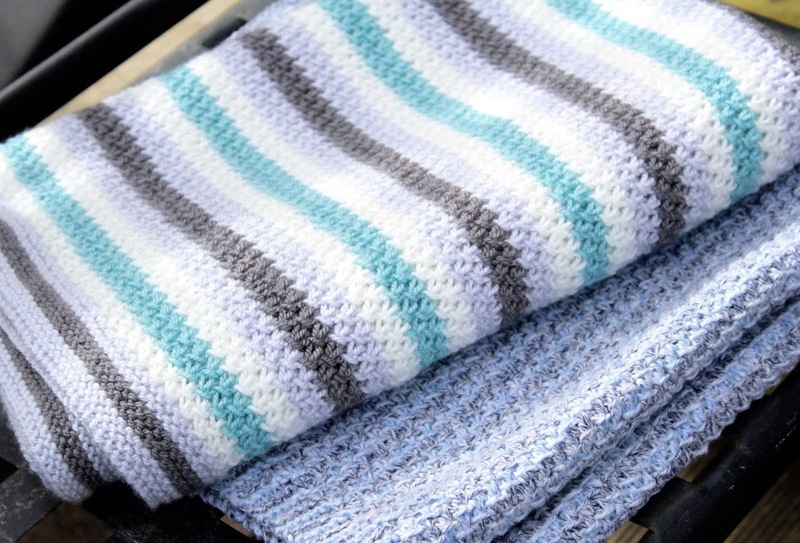 The blanket is knitted in separate pieces and sewn together, which is great if tackling a large item is a little daunting. I also found it a great take-along project; the pieces are small and the pattern easily remembered. For more experienced knitters, this blanket offers the opportunity to use up all those baby yarns you have left over from other projects. 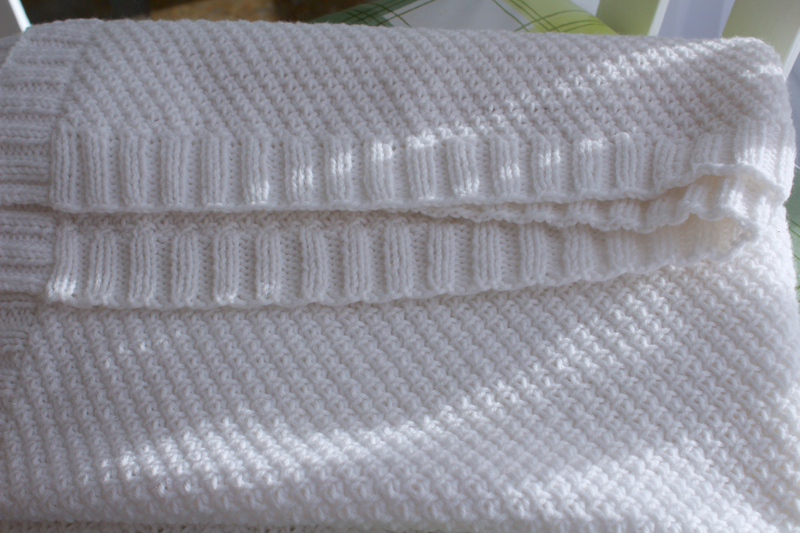 If baby blankets are not your thing, you could of course knit this one up in any yarn and colours you like. A larger aran weight throw in shades to match your decor would make a great throw for snuggling up in on a cold winters’ evening or even a gift for a special person. Any yarn and suitable sized needles will be fine for that and sizes would vary depending on what you have used. The pattern contains full information as to how to put the squares together, and soon I will post them here with detailed explanations to help you get the best result possible. When sewn together your blanket lays flat with no visible ridge between the squares. The pattern contains layout information for the position and colours I used for the blanket shown. You can use this or you can just lay out your squares and see which placement of colours pleases you. 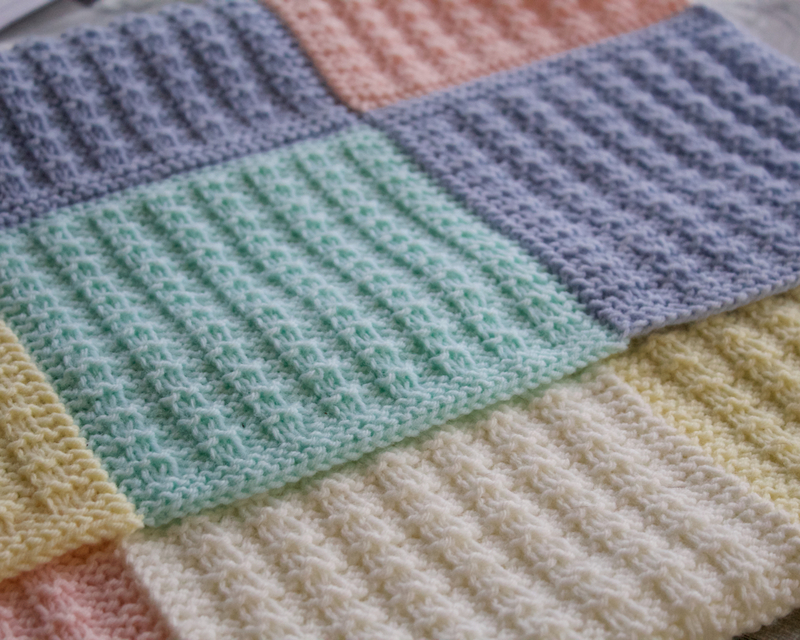 This blanket can be made to any size you want by simply adding (or subtracting) squares. The pattern is written for a blanket 56 x 70 cm / 22 x 28 inches. The listed blanket takes 5 balls in total or 835m of yarn. For the sample shown I used a Colour pack from Love Knitting in which you get five balls of different colours. There are five packs available with different colour combinations, I chose Sorbet. Of course, if you choose to make your blanket larger you will need more yarn. Pair of 3.75mm needles – or size to get you the required knitting tension. 24 sts x 38 rows to 10cm/4 inches in pattern. Each blanket square should measure approximately 14 cm square. Knitting tension is not crucial but if you knit to a different tension you blanket will be a different size and you may need more yarn. As usual, pattern support is available for this and all my patterns. You can either leave a comment here or email me at knitpurlmakes@gmail.com and I will answer your question as soon as I can. Following on from my last post, Slipper Felting – part 1, this is where we go all out and talk about throwing your knitted slippers into the wash.
Firstly, all the samples here were felted in a front loading washing machine, in fact all the felted items I make are felted this way because it is all I have. This does not stop you from using a top loader if that’s what you have, in fact felting is much easier in a top loader as you can whip your item out almost whenever you want. The types of programs and lengths that I give will be slightly different though. You can also felt items by hand, it takes longer but you do have more control over the finished item. This method comes in particularly handy if you have felted something in the washer and it is almost the size you need it, but not quite, or if for some reason it has not felted evenly. If you don’t want to take a chance on it becoming too small if you put it though a whole wash again you can finish by hand. I come across plenty of people, mainly here in the UK, that would not felt anything because they have a front loading washing machine. I think opinion is that you really need a top loader to be successful. This is certainly not the case and although you perhaps don’t have the control you would like, you can still produce felted items with great success. There are so many variables when felting something it can seem complicated but it’s really not. Mostly you can just take a chance and see how things go but it does help to have a little background knowledge to better your chances of getting exactly what you wanted. To put your item in a lingerie bag or not. I know that a lot of people use lingerie bags to put their item into and felt in that. This is, I think, mainly to keep any fluff that comes off of during the felting process out of the machine. To be honest I have never used one and never had a problem but that is only my experience and if you have an expensive machine and don’t want to take a chance, using one can’t hurt. I use ordinary laundry detergent to felt all my items. If I am hand washing a delicate hand knit I only use a wool wash but I have always been of the opinion that as I want my item to shrink and be hard wearing, not needing it to be particularly soft so, to me, using an expensive wool soap has no advantage. Temperature and Length of wash. This really is the crux of the matter isn’t it? No matter what machine you have, whether or not you use a bag to put the item in and what detergent you use, it all finally comes down to what temperature and for how long to get the item come out how you want. Unfortunately, there really is no easy answer. I would love to say, ‘oh, just do this and all will be perfect’ but in all honesty I can’t. The following knitted samples were all made in Cascade 220 held double, at the gauge I use for my slipper patterns except D which was the tighter gauge sample I used in part 1. I washed each slightly differently. Each came out a slightly different size. Again, I have worked out a percentage decrease for each one so you can see exactly the difference it made. It all seems a bit technical but I wanted to be as accurate as possible so you could see what difference a wash can make. I have left out sample D as it is not relevant here. So as you can see, all exactly the same in all respects to begin with, so different after a wash. Even changing what you use to agitate your item with changes your outcome. In my opinion, felting with the towels which ‘foam’ up the washing water more is why that particular sample felted more. For my patterns, using the recommended yarn and sizing information, I use the wash from sample A – 50 deg C / 122 deg F for 1 hour. Too much information? Probably…. maybe, but I hope that this has given you something to think about when embarking on a felting project and perhaps taken a bit of the mystery surrounding it away. The good news is that, with the exception of sample E, overall these figures will not make a huge difference to what exact size a small item such as a pair of slippers comes out. If your slippers are a little loose, felt a little more (see part 1), if they are a little small, put them on while still damp and wear them around for a while, they will stretch to the size of your feet. Mostly, just have fun with your felting and experiment.